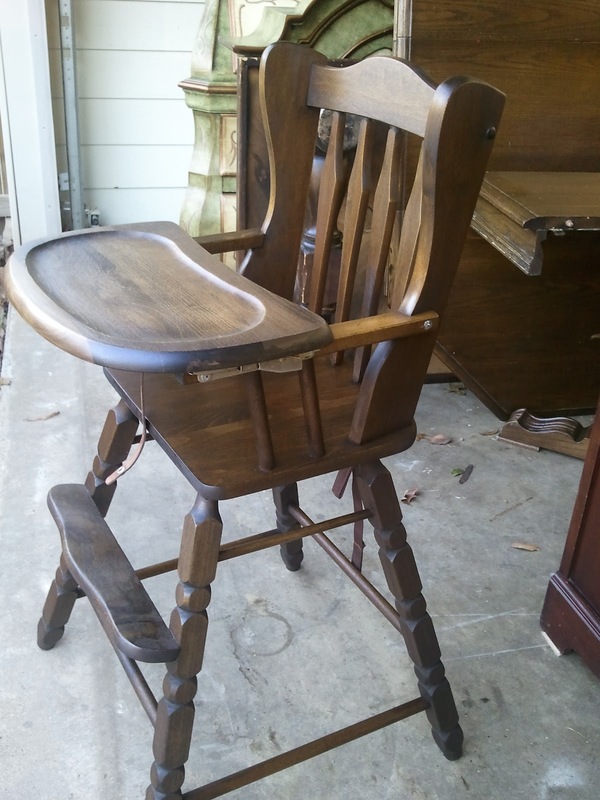 The Painted Door: Memphis Furniture Refinishing & Restoration: HAVE A HIGH CHAIR? NEED IT REFINISHED? 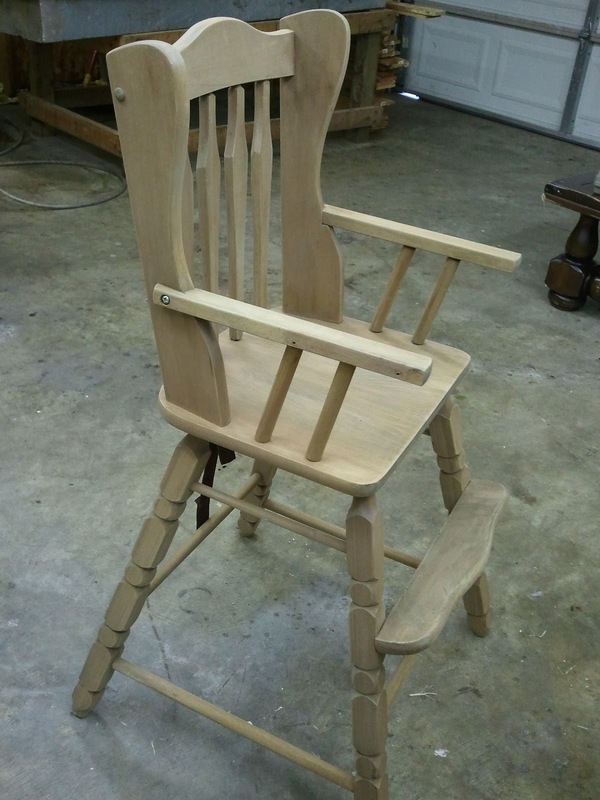 HAVE A HIGH CHAIR? NEED IT REFINISHED? BEFORE: THIS HIGH CHAIR WAS IN BAD SHAPE. THE FINISH WAS WORN OFF AND VERY DULL IN SOME PLACES. IT WAS VERY DIRTY AS WELL. WE STRIPPED IT COMPLETELY AND THIS WAS THE RESULT. NICE RAW WOOD! WE ALSO CLEANED THE HARDWARE. AFTER! THE ORIGINAL COLOR WAS MATCHED AT OUR CUSTOMER'S REQUEST. WE USED A WATER BASE FINISH ON THE CHAIR FOR THE SAFETY OF THE LITTLE ONE WHO IS GOING TO USE IT.